Embracing the goal to enhance and support the rich artistic talent on Long Island, LIM has created a special membership opportunity for visual artists, LIMarts: a collaborative arts group. Designed for artists dedicated to creating a new forum within our cultural community, LIMarts offers space for the exhibition and sale of artwork, varied programming events, lectures and opportunities for social gathering with other artists and the public. For information about becoming an LIMarts members, e-mail Alexandria D’Auria. 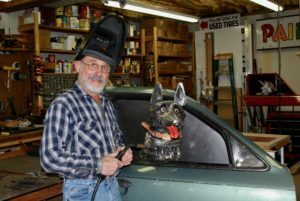 Gary Garrett’s career in his family’s used auto parts business came in handy when he retired from the business and pursued his interest in art. 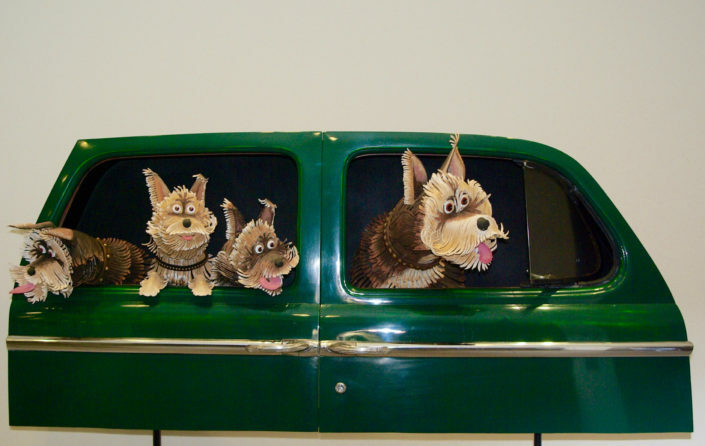 While working in the auto parts industry, he recycled and reused automotive parts, and today he continues to recycle old mechanisms and objects into sculptures. Gary finds components for his artwork at garage sales, farm auctions and auto salvage yards. He gives new life to old tools, industrial gears, car parts, and farm equipment, incorporating them along with new metal fabrication to create welded assemblages that tell a whimsical story. Gary resides in Huntington and exhibits at local libraries and galleries in NYC and Long Island. He can be contacted by email or phone at garygarrett55@gmail.com or (516) 557-6990. See a sample of Gary’s artwork on display in the Visitors Center through the month of April. Maximize the Long Island Museum’ continuing role in telling the history of Long Island’s artisans – past, present and future. Become a member of this vibrant new collaborative arts group today. For more information and benefits of a LIMarts membership call (631) 751-0066 X285 or email Alexandria D’Auria.